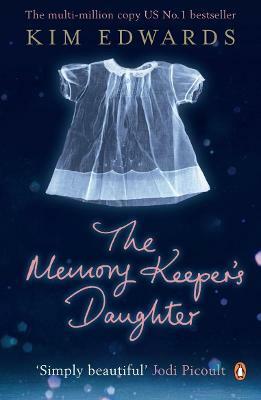 The multi-million copy bestseller, Kim Edwards' The Memory Keeper's Daughter is a moving and poignant novel about grief, family and betrayal. For though David's son is a healthy boy, his daughter has Down's syndrome. And, in a shocking act of betrayal whose consequences only time will reveal, he tells his wife their daughter died while secretly entrusting her care to a nurse. As grief quietly tears apart David's family, so a little girl must make her own way in the world as best she can. Kim Edwards is the author of the short-story collection The Secrets of the Fire King, which was an alternate for the 1998 PEN/Hemingway Award, and has won the Whiting Award and the Nelson Algren Award. Her second novel, The Lake of Dreams, is available from Penguin. She is an assistant professor of English at the University of Kentucky. Kim Edwards is the author of the short-story collection The Secrets of the Fire King, which was an alternate for the 1998 PEN/Hemingway Award, and has won the Whiting Award and the Nelson Algren Award. She is an assistant professor of English at the University of Kentucky.